The woodwork inside or outside your home or business needs to be taken care of with wood staining & finishing services from Artisan Painting & Decorating, Inc. Restoring your wooden surfaces will always complete the look of your home or commercial business when you're repainting or making improvements or restorations. Proper staining and finishing services for all your wooden surfaces should be handled by painting contractors in Boston who know what they're doing when they handle these types of surfaces. Wood can be beautiful when properly restored, giving you back the warmth and glow you enjoyed when your space was knew. When it comes to your options in wood stains, your choices are wide open. You can have deck stains that apply and look similar to paint, regular stains, or semi-transparent stain that gives you more beauty of the wood to see. Semi-transparent stain is a great choice for your wood stains because the wood grains is visible, making the finish look unique and remarkable. The woodwork in your space is an important design element. 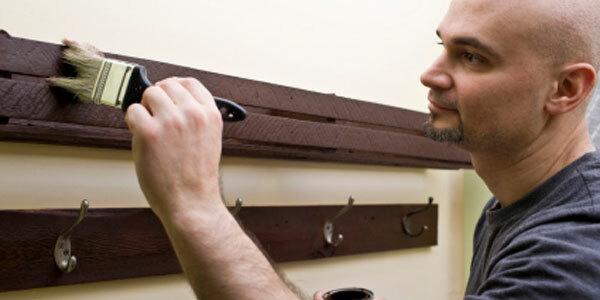 Don't let a less experienced painter convince you to always paint over your woodwork. You have touches of interest and elegance just waiting to happen. Instead, choose our Boston wood staining professionals who can give you some fantastic looking woodwork that makes your space unique and beautiful. At Artisan Painting & Decorating, our Boston wood finishing contractors, specialize in professional exterior cleaning, stripping, brightening, and sealing of all types of wood decks, homes and shake roofs. For many of our wood projects we start with stripper to remove any existing, mill glaze, dirt, moss, mildew, sealers or paints. As mentioned above, we have many color options and stain options for your wood areas. There's no better way to liven up the look of the wooden areas on your home or commercial property's exterior. Whether you need a deck restored, have railings or other places that need wood refinishing, own wooden fencing, or have a shaker roof that needs restoring, our expert wood finishing contractors are available to help you with all your wood staining and finishing in the greater Boston area. If you are looking for a wood staining or wood finishing services in the Boston area, then please call (617) 947-0524 or (617) 548-3649 or complete our online request form.